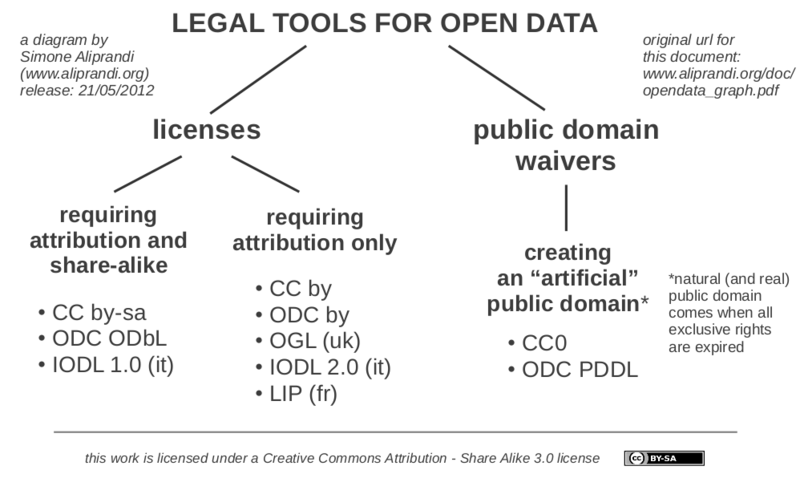 I realized a diagram including all the most important opendata licenses that are now available, and classifying them according to their legal effects (attribution and share-alike, attribution only, public domain). 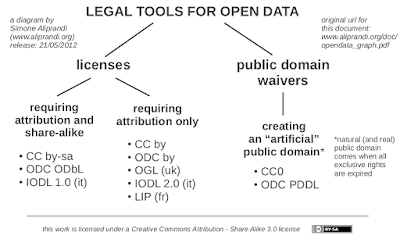 I hope this work can be useful to better understand the actual situation of database (open)licensing. By clicking here you can download the PDF file with the complete version of the diagram. If you appreciate my work, I will be grateful if you will share this contents and correctly attribute them to me linking to this page. PS: if you want to deepen how these licenses work on geodata, see the FreeGIS.net Project (an interesting project based in Bolzano which I am collaborating with).